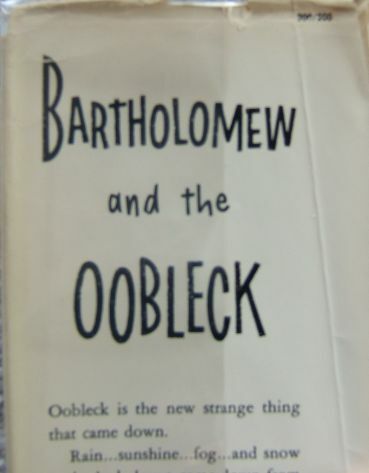 Bartholomew and the Oobleck; written and illustrated by Theodor Seuss Geisel; Random House; 1949. Blue boards and blue dust jacket. 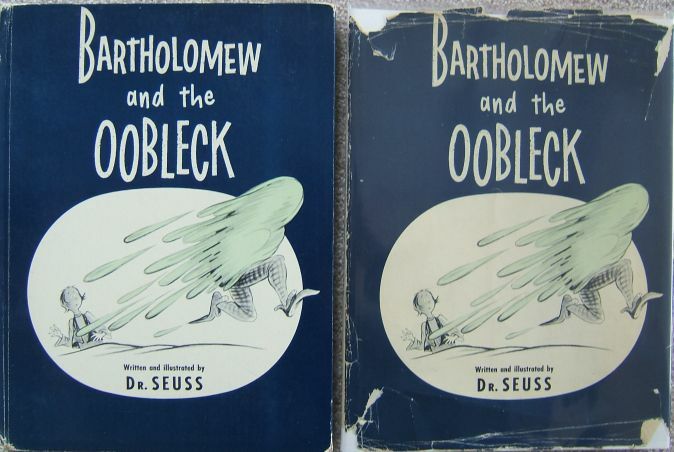 Oobleck is similar to Seuss’ Thidwick The Big-Hearted Moose and If I Ran The Circus, in that the book and dust jacket are unique to the first edition. Later states have orange boards and dust jacket. It is difficult to find a first edition dust jacket in VG condition, since the paper stock was so thin on the first state DJ. 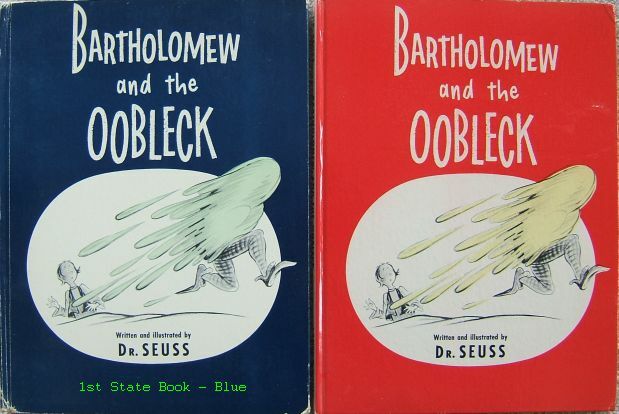 The dust jacket price is $2.00, "200/200" at top right of front flap, however this is not necessary to identify the first state book. 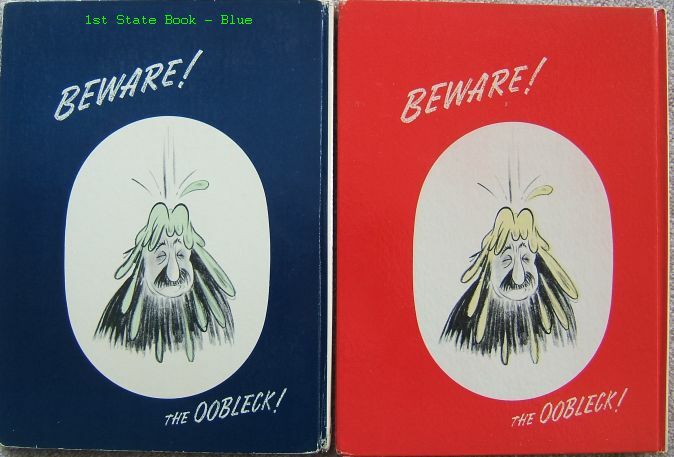 The rear flaps gives a short review of the first six Seuss books.